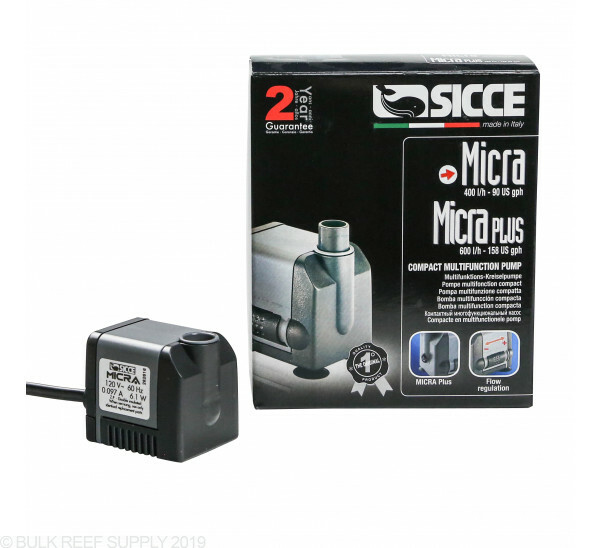 Sicce's Mi Mouse pump is a fully submersible, compact pump with the suction inlet on the bottom for optimum operation with low water levels. 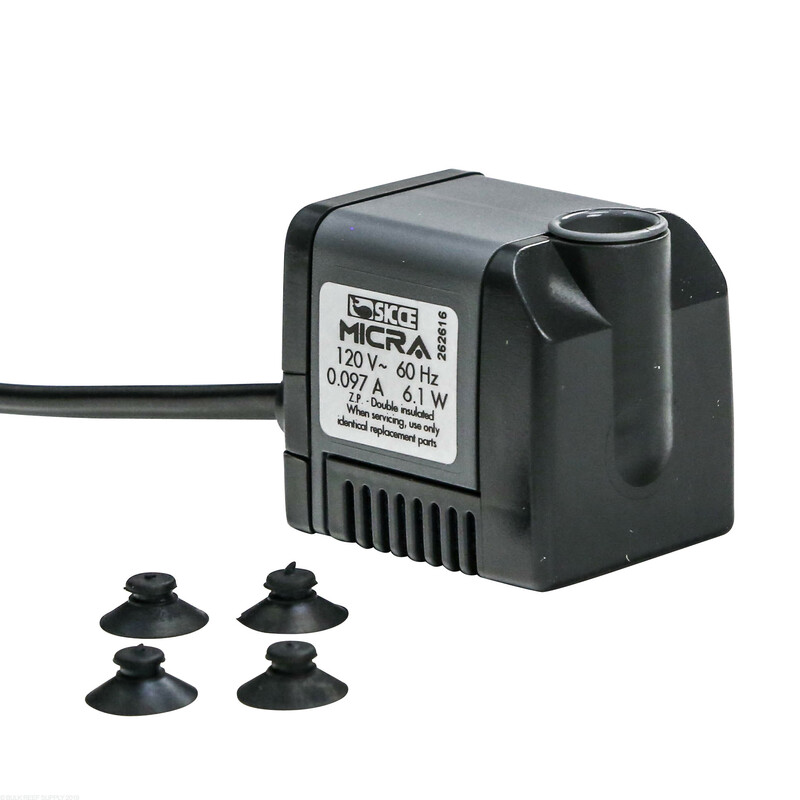 Small size is great for indoor or outdoor fountains, aquariums, and terrariums. 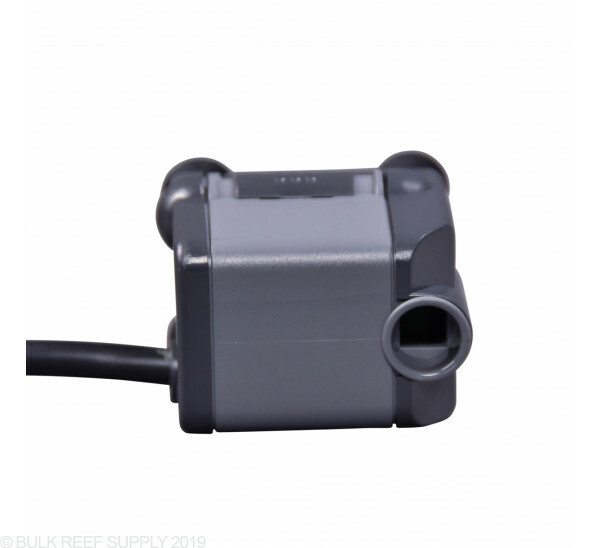 Outlet Tube Adapter Size: 1/2 or 3/8"
Dimensions: 1.69" x 2.24" x 2.04"
Applications: aquariums, terrariums, internal or external fountains, landscaping construction and for any application which requires the recirculation of water. 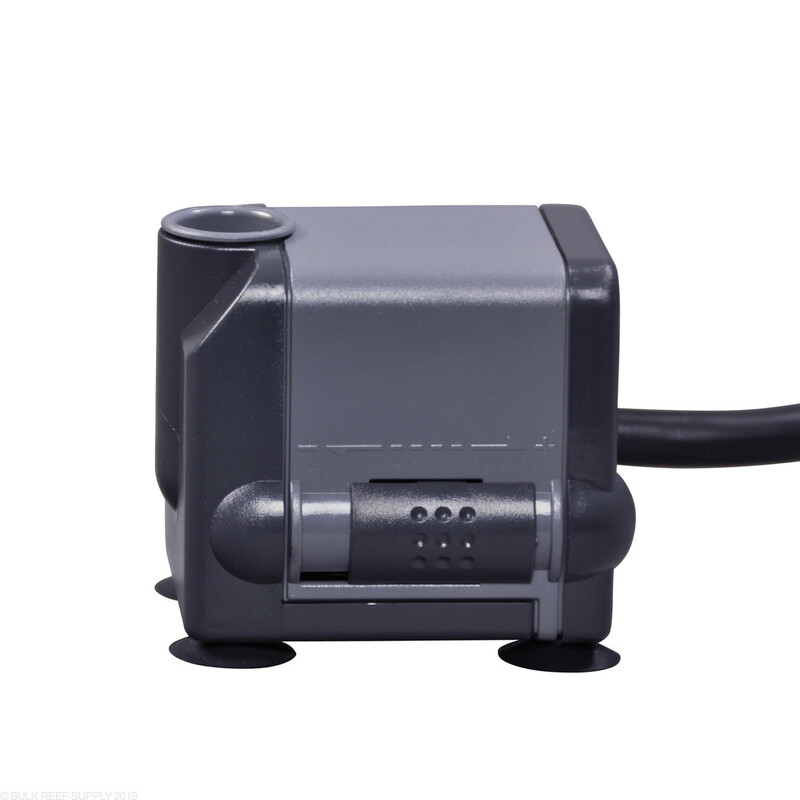 This pump is perfect for my ATO pump. You can't hear the pump running and it is very small. 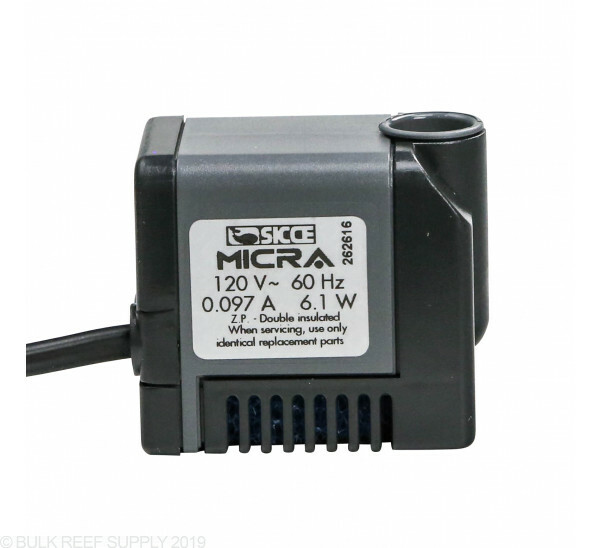 Needed to replace the noisy rattletrap of a pump that came stock in my Nuvo 10. This fit the bill perfectly and it's dead silent. 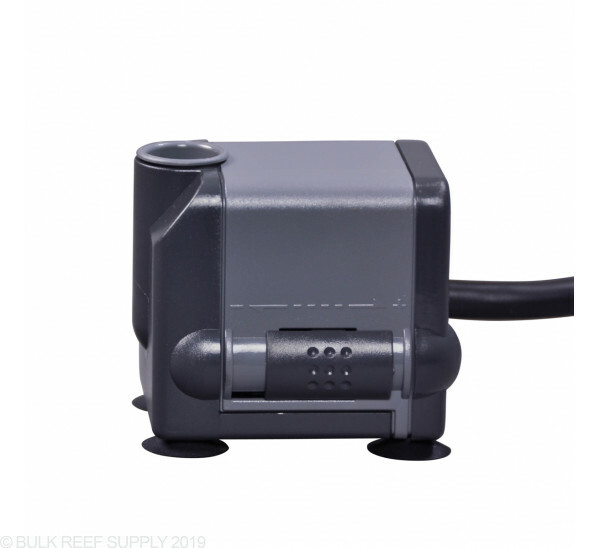 Nearly identical pump bodies but infinitely different in quality. The micra plus is also another good option to get a little more flow. My new Nuvo 10 pump was a rattle trap of a pump. 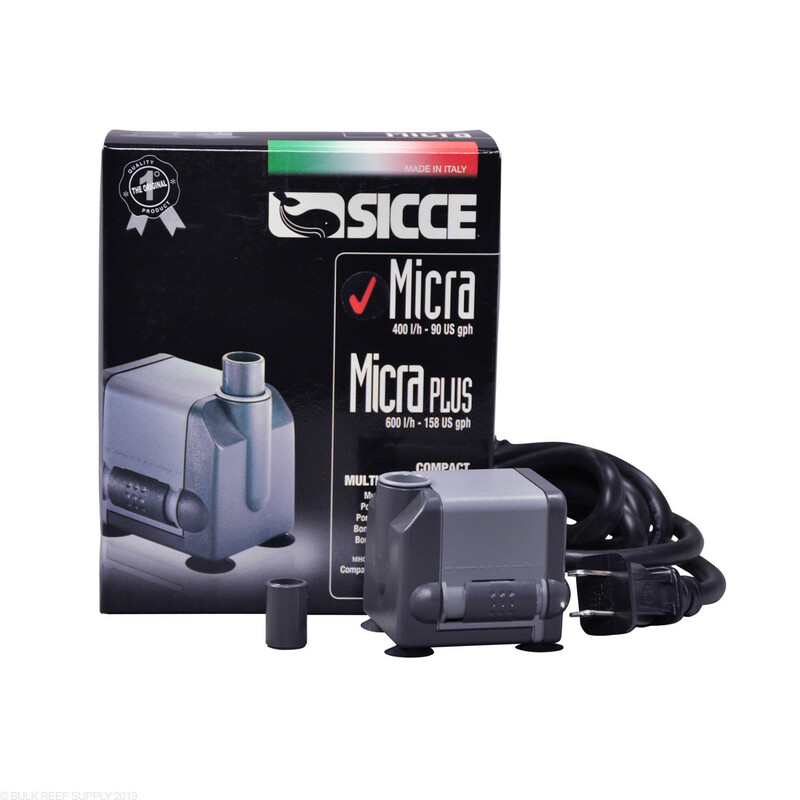 I have always had a great experience with sicce pumps and this fit the bill perfectly. Absolutely silent. 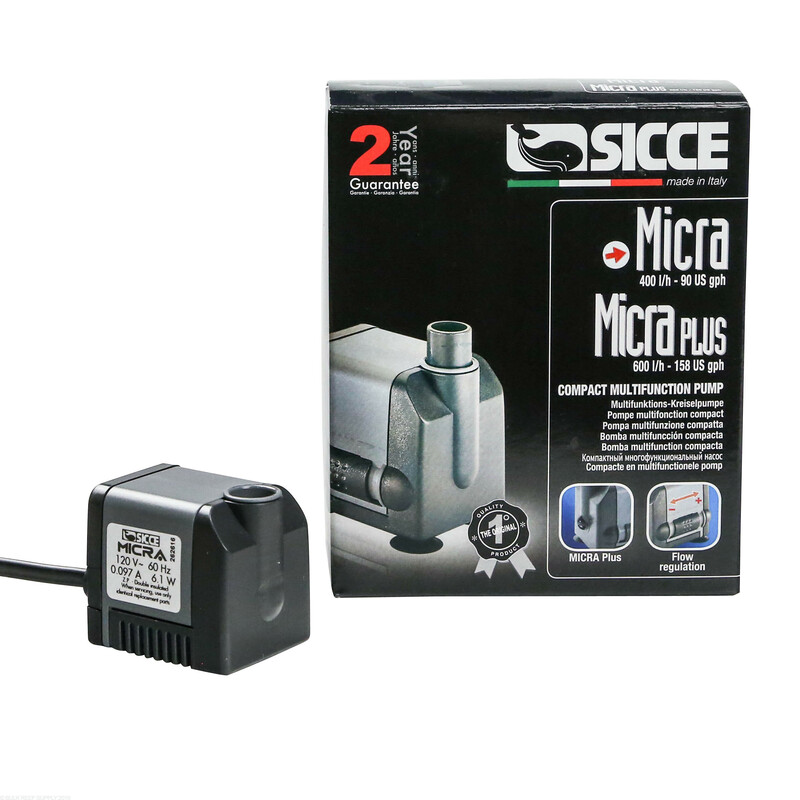 Sicce has never let me down. 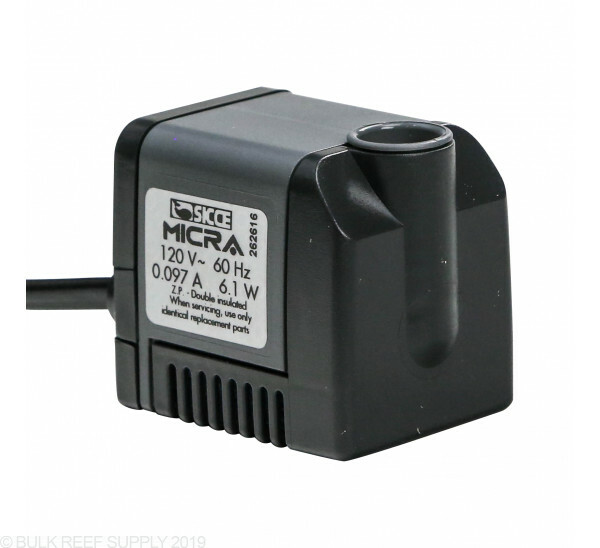 If you need a replacement pump for your Nuvo 10, this is the one. 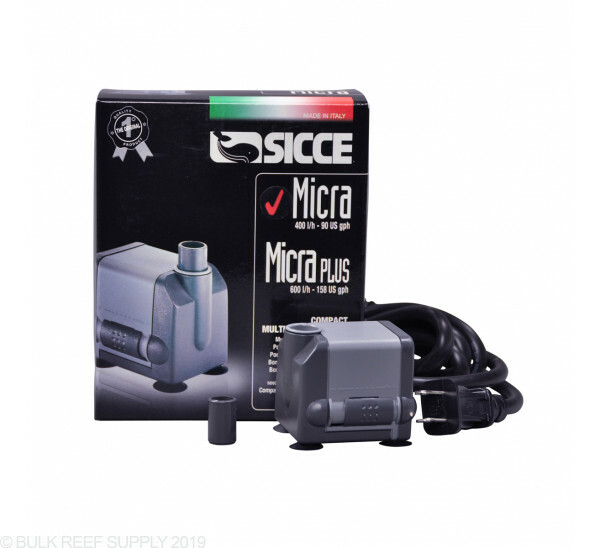 If you want to add some GPH to your tank go with the Micra Plus model. Is this too fast for kalk? 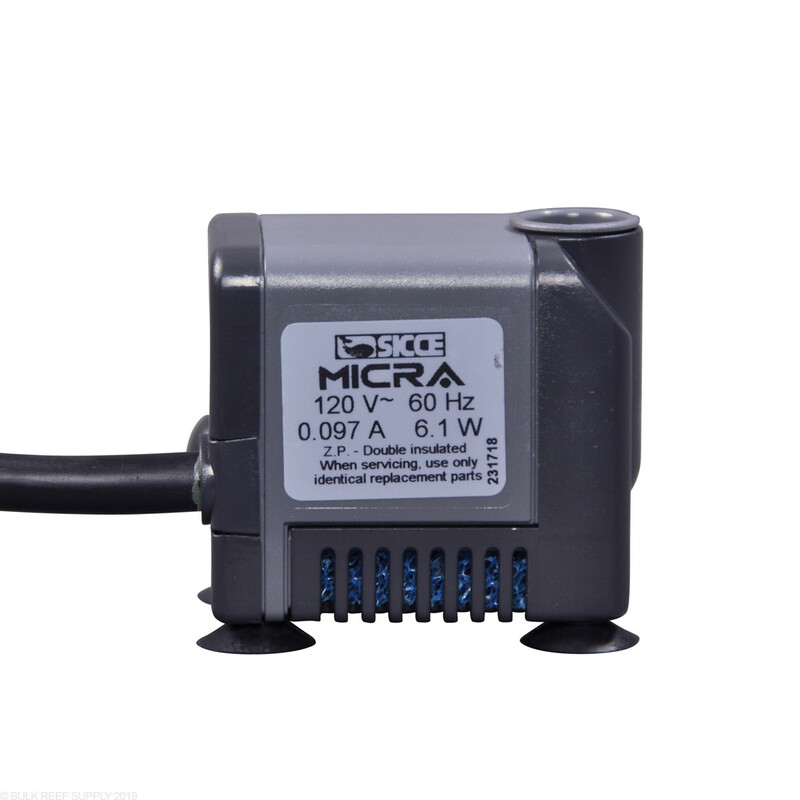 If so what pump would you reccomend? I need it to have a decent max head head and I'd like it to be under $30. Thanks! I want too set up a 5gal bucket too top off water for the tank. How does the flow rate need too be on the pump. I'm looking too just put a pump an fill it on my own, when needed too. 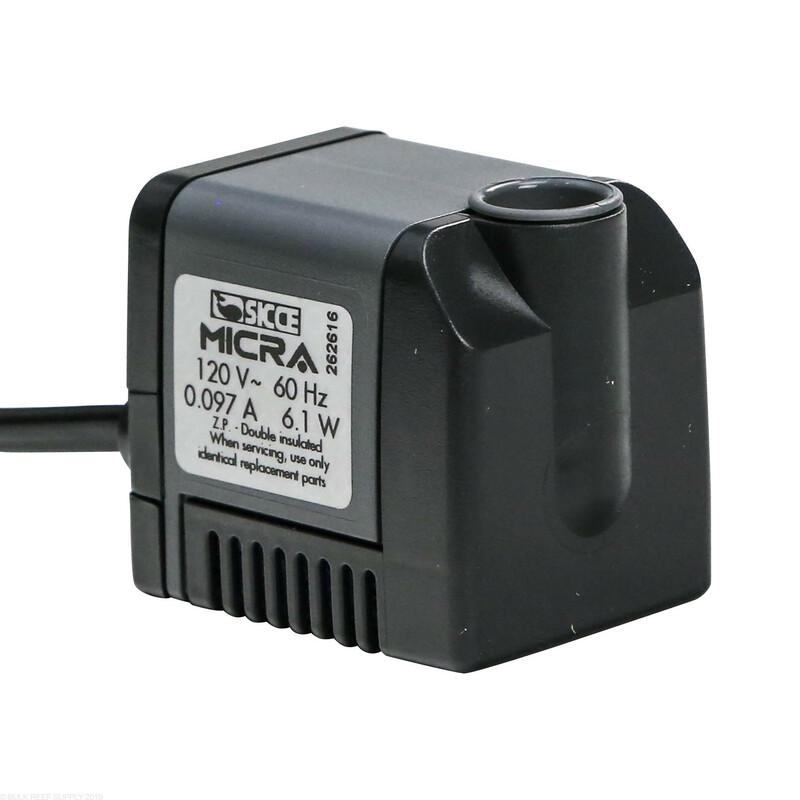 Wondering what kind of pump I should use. How should I make it simple and not lift a bucket of water too use that way. 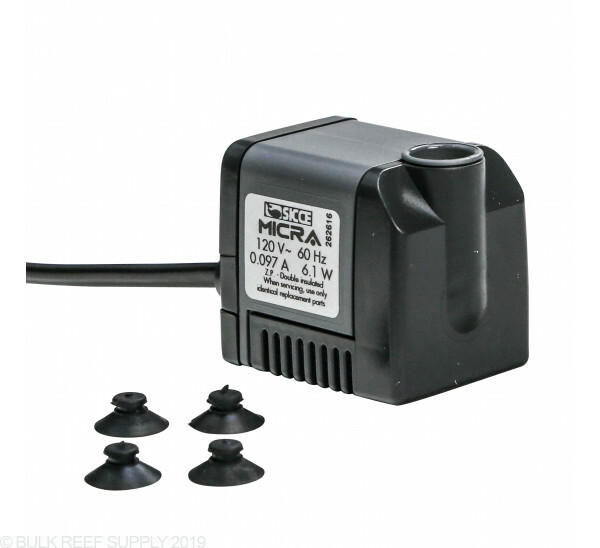 Just trying too set up a 5gal bucket next too the tank and use a pump ever 2 or 3 days too make easier too top off with. 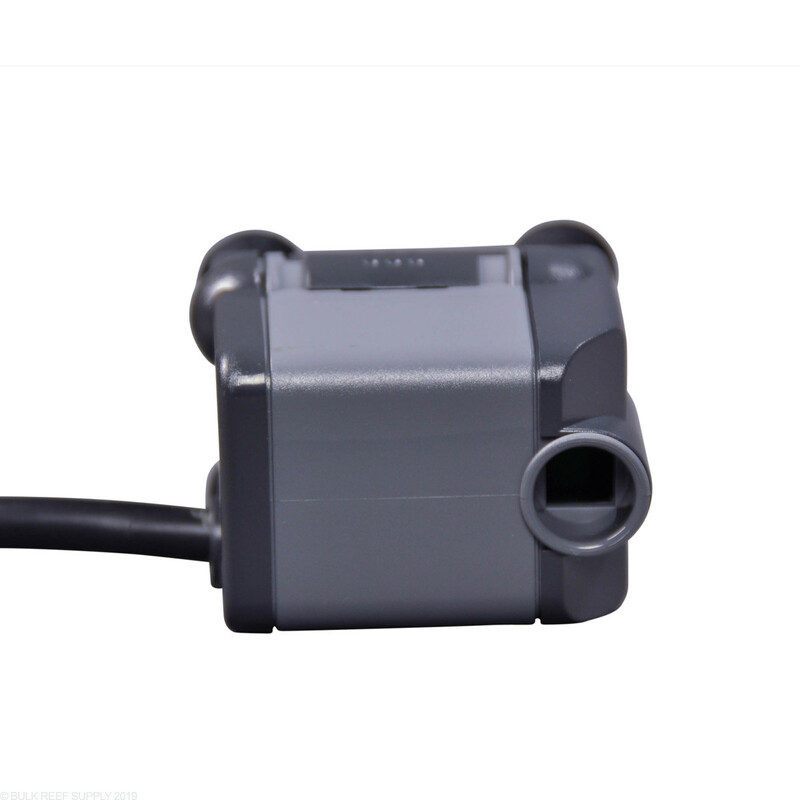 If you can point me out an tell me what pump too use and make the job easier for me. 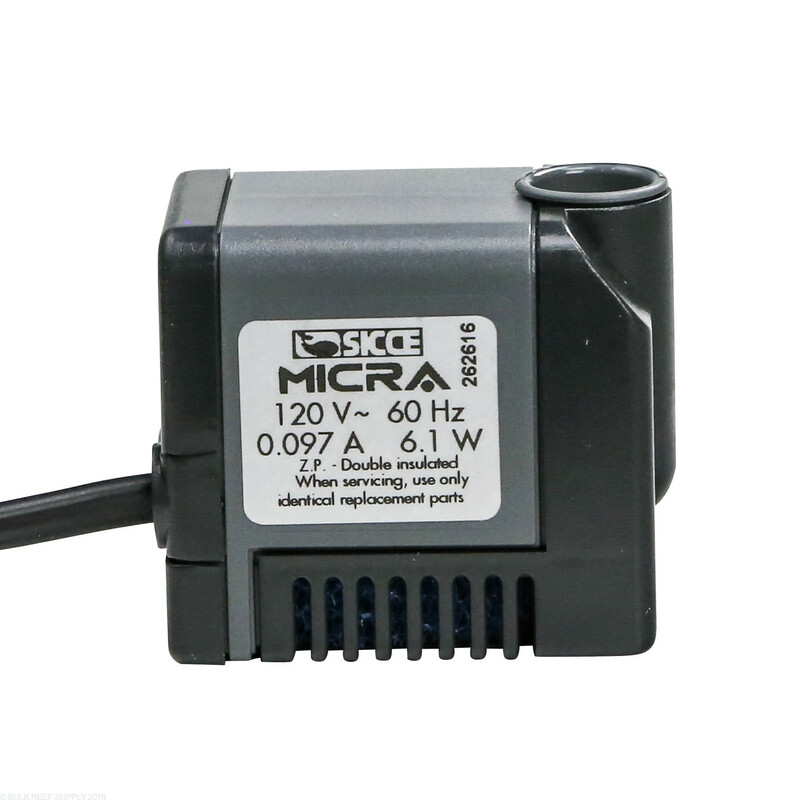 Looking for just a submersible pump and easy too turn on/off when needed. 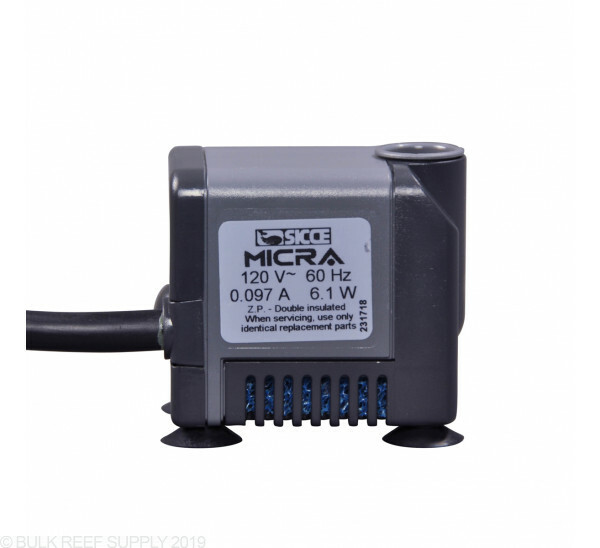 The Micro would be a great option as a simple low flow pump to top off water!